Of all the items associated with weddings, the wedding dress is one that often jumps to mind as particularly beautiful or striking. Sometimes thought of as "the most important dress" in a woman's life, a well-designed wedding dress should draw all eyes to the bride. A popular way to enhance the beauty of a dress, and draw eyes toward it, is to add decorative pieces like appliqués. Specifically, beaded appliqués for wedding dresses are popular because they can add texture and elegance. The addition of appliqués, and particularly beaded appliques, elevates a simple fabric and adds visual interest. Beaded appliqués come in a variety of colors and designs to fit changing trends and differing styles. Popular choices for wedding beaded appliqués include white, silver, and gold. Colors like white often blend into the fabric of the dress and create subtle textures and patterns. Bolder, metallic colors like gold, however, create complementary contrasts. Similarly, large or elaborate beaded designs create a rich looking gown. Smaller or simpler beaded appliqués can create quietly elegant dresses. From simple to ornate, beaded appliqués enhance wedding dress designs. When choosing beaded appliqués for a wedding dress, keep in mind the bride's style and the desired effect or look for the dress. TrimCite stocks a variety of appliqués to fit a diverse number of designs. In addition, we are able to manufacture custom requests for appliqué, lace, and trim to help make your dress unique. 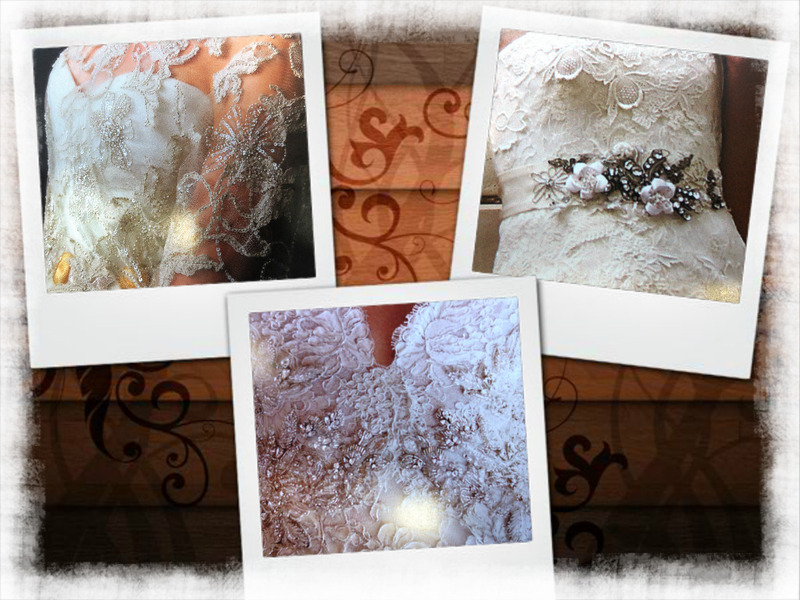 Please contact us to find the decorative details to bring your wedding dress to life.